Tapas are small-size dishes, influenced by Spanish & Basque culinary. Generally, the word Tapas is used for small slices of bread, mini-sandwiches, small donut, omelets, slices of sausages, stuffed mushrooms or olives. Traditionally, Tapas comprises of any little dishes which bridges the gap between lunch and dinner. In Spain, dinner is very late, rarely before 9:30 PM. 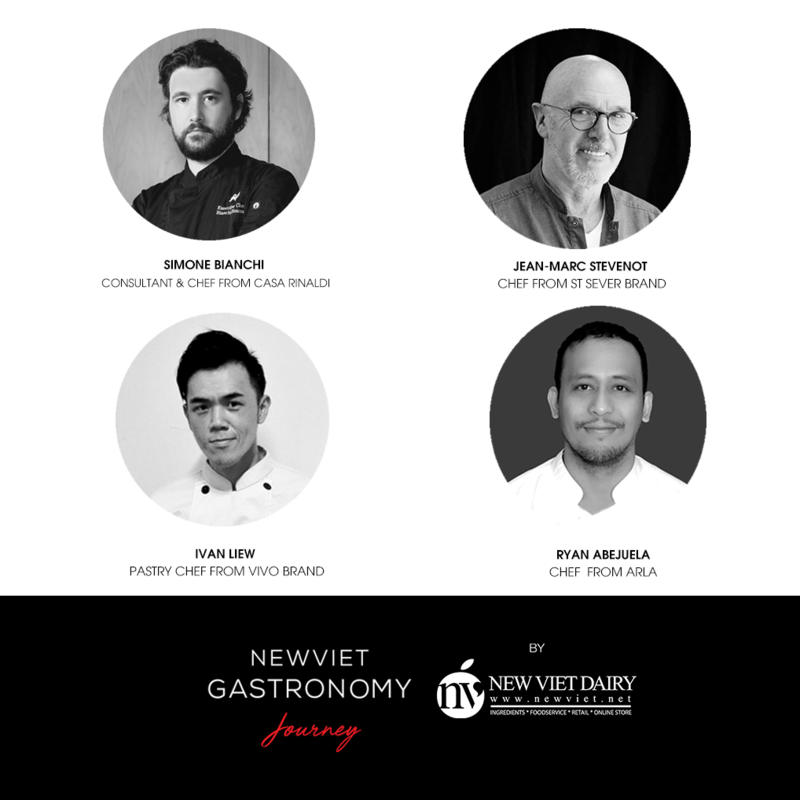 Today, Tapas is a world gastronomic phenomenon with creativity, freedom, and innovation, and it can be found in many shapes, colors, flavors, and tastes. Tapas is a trendy and growing market. It is easy to prepare, easy to eat, easy to mix and easy to make. The Tapas creation inspiration in unlimited. Tapas bar attracts customer loyalty and increases revenue. 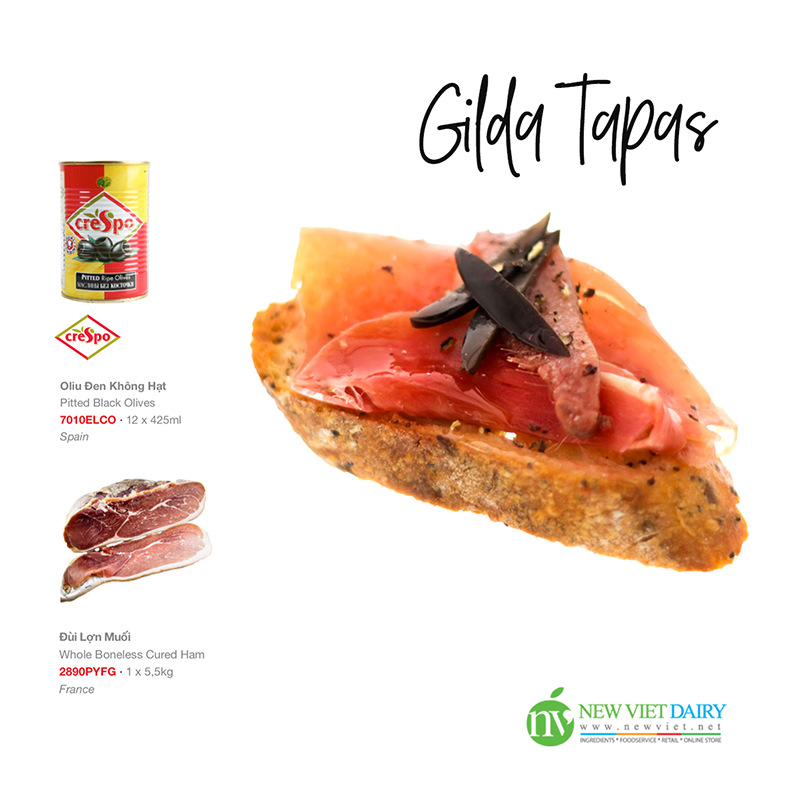 New Viet Dairy introduces you a “Gilda Tapas” recipe as an inspiration for a delicious & effective menu for your restaurant. Cut the ham into the small slices. Mix pork and anchovies with garlic and pepper. Add 1 slice of ham, 1 anchovy, 1slice of tomato and ½ black olives to the bread slices.